On September 11th2001, 32-year-old Elizabeth Turner was working at Channel 4 when news broke of the attacks on the World Trade Centre. Surrounded by TV screens, like her colleagues, she watched as the horror unfolded. But for Elizabeth, the atrocities were even more painful - her husband Simon was at a meeting at the top of one of the towers as the planes crashed into them. Elizabeth was seven months pregnant with their first child. As the destruction unfolded, and Simon did not call, Elizabeth's world crumbled, and she spiralled into an unimaginable abyss of grief. This courageous and moving memoir packs a powerful emotional punch, and hooks the reader from the first page. The author eloquently describes how she had to hit rock bottom before she could start rebuilding a life for herself and her young son William. That she was able to recover at all is testament to the power of the human spirit. But more than this, Elizabeth has forged a completely new life and career and is now living what she calls her 'ultimate life'. Her story offers hope that there is a way through the worst experiences - not with quick-fix solutions but by moving deep within yourself to bring about complete healing and recovery. 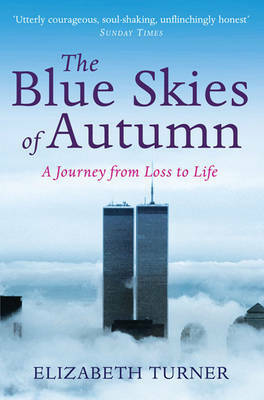 The book contains new material to bring the tenth anniversary of the tragedy into focus.